One good thing about a late season snowfall is that the snow doesn't stick around. We got more than 8 inches yesterday, but today it's mostly a slushy memory. Still it's pleasant to remember a warm summer day in Santiago not so long ago. 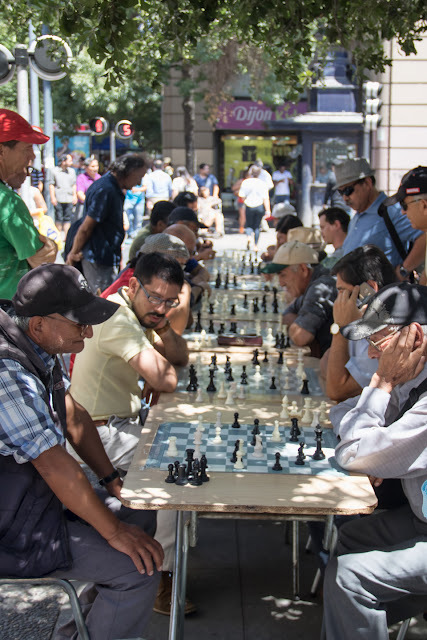 These chess players are in the Plaza de Armas.